Planting avocado trees outdoors is not a viable option for everyone, but that’s okay. In the articles below, you will find tips on growing avocados indoors as well as in the garden. So read on to learn more about avocado care, including common pests and disease, when and how to harvest, and all about pruning. Cotton root rot of avocado, also known as avocado Texas root rot, is a destructive fungal disease that occurs in hot summer climates, especially where soil is highly alkaline. Recognizing the symptoms of avocado cotton root rot may be helpful. Learn more in this article. No plant is without its problems. If you were expecting an avocado tree laden with fruit, but instead have a sickly tree that rarely bears avocado fruits, this article may be for you. Click here to learn about root for in avocado trees. Fungal diseases can happen to any plant. However, not all fungal diseases bear apparent symptoms. This is the case with avocado wood rot. Learn more about wood rot of avocado trees in this article. Click here for more information. Growing an avocado tree is a great way to have a steady supply of this delicious, nutritious, and fatty fruit. There are some potential issues, though, that could destroy your baby avocado, including avocado seedling blight. Learn more in this article. Although avocado trees produce more than a million flowers at bloom time, most fall from the tree without producing fruit. Even with this excessive blossoming, there are several reasons for a fruitless avocado. Click here to learn why there is no fruit on an avocado tree. When the tips of your avocado leaves look scorched but the sun isn?t hot, you may be perplexed. Why are my avocado leaves burnt, you may ask. Leaf burn doesn?t always result from high-voltage sunshine. If you want to understand the causes, this article will help. Gardeners lucky enough to have homegrown fruits may find that an avocado has no flowers. The problem may be cultural, environmental, related to tree age or pollination issues. Learn how to get flowers on avocado trees in this article. Growing avocados means learning about what ails them. Cercospora spot is a common and troublesome problem for growers everywhere. 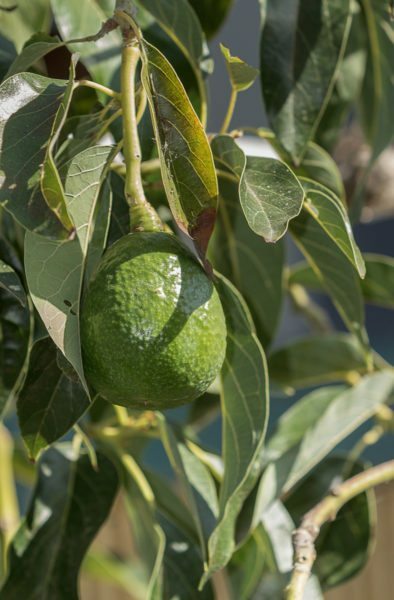 Find out what to look for, how to prevent it and how to treat avocado cercospora spot if it crops up in your garden by clicking here. If you are thinking of transplanting avocado trees, the younger the tree, the better your chance of success. For more information on transplanting avocado trees, including tips on how to transplant an avocado, the following article will help. Avocado fruit thinning is similar to thinning other fruiting trees, such as apples. Removing avocado fruit may or may not be a good idea, it all depends on how and when you go about thinning the avocado fruit. Click this article for more information. Avocados are amazing gifts from your landscape or orchard trees, but they can quickly become a pile of gross, unusable mush if those plants are infected with avocado anthracnose. Learn tips for reducing this fruit disease in the following article. Algal leaf spot of avocado is a disease that can cause some major visual disruption for avocado plants, but it?s not a serious condition. Learn more about how to identify the disease and what to do to keep it from coming back in this informative article. As with any fruit tree, there are avocado pests and diseases that may strike and either kill or limit the harvest. Avocado powdery mildew is a fungus that is not uncommon, but also not too serious and easy to treat and manage. Learn more about it in this article. 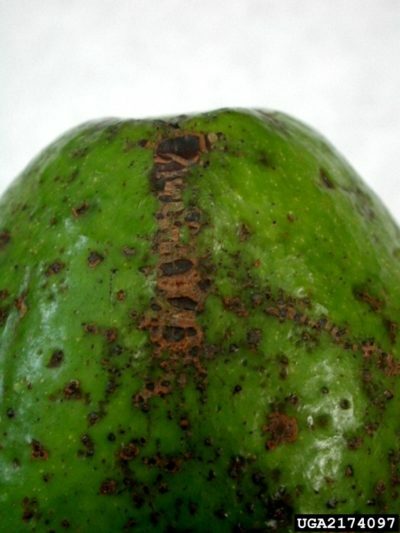 While initially scab on avocado fruit is a cosmetic issue, it may become a gateway for the entry of fruit rotting organisms such as anthracnose. Because of this, treating avocado scab is an important step to preserving the crop. This article will help. So your prized avocado tree is showing signs of infestation; the question is, what?s eating the tree? There are a number of pests of avocado, but one of the most common are bud mites on avocado trees. Find information on avocado bud mite control here. 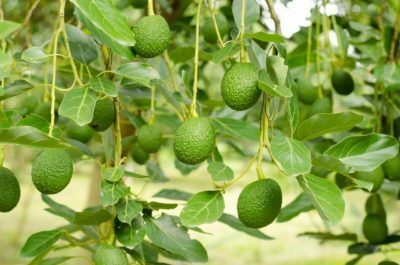 Fertilizing avocado trees, along with general care and proper planting, will give you the best chance of an abundant and healthy crop of fruit. The question is how to fertilize avocados? Click this article for avocado fertilizer requirements. Many houseplants can be grown from staples found amongst the produce of your very own refrigerator. Carrots, potatoes, pineapple and even avocado all garner respectable houseplants. Take a look at how to grow an avocado houseplant indoors in this article. While rooting avocado pits is a fun project, you probably won?t get any fruit. So folks that want fruit usually buy a grafted avocado sapling, but did you know growing avocado trees from cuttings is also possible? This article has more information. Avocados are native to tropical America but are grown in tropical to subtropical areas of the world. If you have a yen for growing your own avocados but don?t exactly live in a tropical clime, all is not lost! Here are some cold hardy, frost tolerant avocado trees. Pollinating in avocado trees is a unique process. A mature tree may produce over one million blooms over its life time, hundreds of them during any one season. 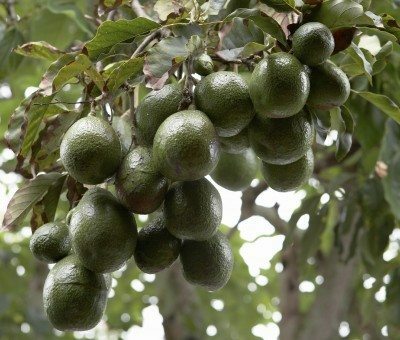 So, do avocado trees cross pollinate? Read this article to learn more. Sunblotch disease occurs on tropical and subtropical plants. Avocados seem particularly susceptible to the disease. Learn more about sunblotch and how to treat this problem in this article. Avocados are tasty additions to the garden, but there are pests and diseases you should be aware of before planting. 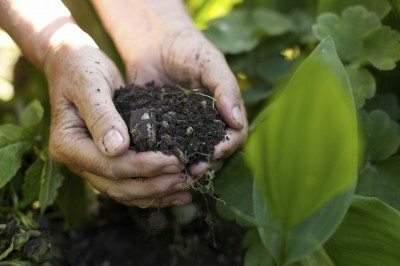 Read this article to learn what to do about these problems before your crop is affected. How to tell if an avocado is ripe? It isn?t always easy to discern the peak avocado harvest time. Are there some peak avocado harvesting time tips and how to pick an avocado that is ripe? Learn more about when to harvest avocados in this article. Avocado trees are warm season plants, easily damaged by cold and frost. This article will help with growing an avocado plant indoors so the cold won't be a factor. Click here to learn more. Avocados are a source of vitamins and nutrients. Learn about planting your own avocado tree in this article so you can take advantage of these healthy benefits in your garden. The average outdoor avocado tree can grow to be 40 to 80 feet tall. However, you can enjoy a smaller version inside your home with little fuss. Read this article for help with pruning avocados indoors.